As much as I like Google Docs for word processing and spreadsheets, I find the online software clunky at times. So I was skeptical when I heard Microsoft is trying to sell its new version of Office as an online subscription. I was pleasantly surprised to learn that the subscription gets you the same software you'd get buying it at a retail store. In fact, I'm using the new Office 2013 to write this review, and it feels as smooth as the customized version of Office 2010 I regularly use. With an online subscription, you keep paying Microsoft to use the latest version of the software, rather than pay the company once for software that gets outdated over time. It's pricey, at $100 a year, compared with the traditional way of paying a one-time fee that starts at $140 and is good for years. Nonetheless, households with several computers will find subscriptions a good value, as one subscription is good for up to five Windows or Mac machines. At first glance, Office 2013 resembles Office 2010, whether you buy it as a subscription or out of a box. There's a row of buttons—the ribbon—with quick access to the tools you need most. Files are compatible, so you can send Office 2013 documents to someone who has only Office 2010 (as I'm doing with this review). 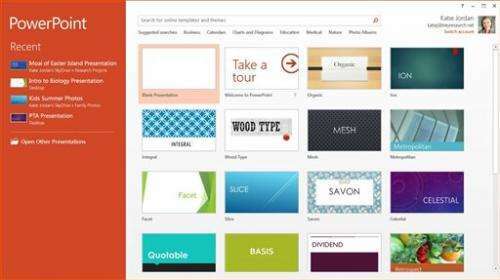 What Office 2013 does, though, is embrace Microsoft's touch-screen philosophy. Microsoft's Windows 8 operating system, which came out last fall, enables touch-screen controls so desktop and laptop computers work more like tablets. It's Microsoft's way of addressing a challenge to PCs brought about by the popularity of the iPad and tablets running Google's Android system. So with Office 2013, you can access those ribbon buttons and menu options with your finger, as long as you have a touch-screen monitor. You can also move your cursor by touching the spot on the screen where you want to insert a paragraph into a Word document or edit a formula in an Excel spreadsheet. Of course, you can use the old-fashioned mouse and keyboard commands instead. A button at the top lets you switch between touch and mouse modes, though you can still touch in mouse mode and vice versa. In touch mode, buttons and menus are spaced farther apart to reduce the chance of accidentally hitting the wrong one. 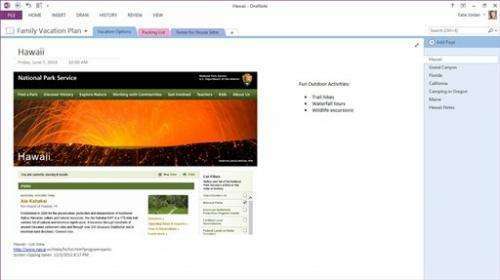 Microsoft also designed Office 2013 to reflect the fact that people these days tend to have multiple devices—perhaps a desktop at work, a laptop at home and a tablet on the go. When you're online and signed in with a free Microsoft account (such as Hotmail, Live or Outlook.com), Office will push you toward storing your files online through Microsoft's SkyDrive storage service. That way, a file you save at home will pop up at work with all the changes you made. No longer do you have to email files to yourself—or kick yourself for forgetting to do so. If you prefer, you can still store files the traditional way, on your hard drive. Other features reflect our continual connectedness. You can insert an image into Word directly from an online service such as Flickr, for instance, without first saving it onto your computer. A "read mode" in Word temporarily reformats your document into something that resembles an electronic book. Commands for editing documents disappear, so you're left with the functions you'd need most, such as defining a word or translating a phrase. Word can also convert PDF documents into Word format so that you can make changes more easily. 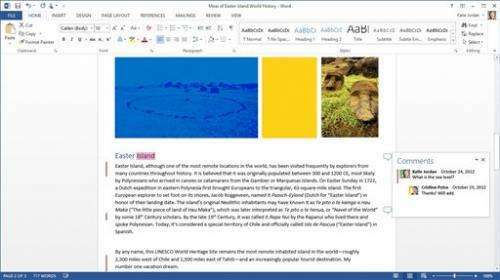 Word and the other Office programs can access an Office Store, which carries apps you can buy or get for free to extend the software's functionality. That was how I got a free Merriam-Webster dictionary for defining words in read mode. Sadly, it works only when you're online. That means I'd have to wait to look up "defenestrate" if, say, I'm near the window of a skyscraper without Wi-Fi. That gets me to my frustrations with Google Docs. It works well when I have a steady Internet connection, less so when I don't. You can enable offline use, but it's not the same. Since I travel a lot, I want to know I'll be able to access my Office files anywhere, especially with this push to save everything online. The good news is Office 2013 works quite well without an Internet connection. SkyDrive is an Internet-based storage service, but it can also automatically save copies of all your files on every computer you use. That way, you can still open files when you're offline. Any changes you make will sync with the online copy later. I've tricked it by making different changes from different computers. Word managed to merge them. And as I mentioned earlier, you're getting the full version of Office installed on your computer, not a copy that runs on your Web browser over the Internet. That means you're not losing most of the program's functionality when you're offline. I've had only a few days to try out the new Office, so there are plenty of hard-core functions I have yet to discover. I've focused on Word and Excel for my test. The basic, Office 365 Home Premium subscription package also comes with PowerPoint for presentations, OneNote for note-taking, Outlook for e-mail, Publisher for desktop publishing and Access for databases. Packages geared for businesses will come later. Microsoft will continue selling software the traditional way, for a one-time fee for one Windows computer. I use "traditional" loosely, though. If you buy it at a retail store, you're getting only a 25-character code, which you use to activate the software after downloading it at home. At any rate, packages start at $140 for Word, Excel, PowerPoint and OneNote ($20 more than the comparable Office 2010 package). You get Outlook as well for $220 and all seven programs for $400. You can also buy them a la carte—$70 for OneNote and $110 for any of the others. Consider that just $30 more gets you four programs. If you have just one computer, the one-time fee is clearly for you. If you have two, it might still be cheaper to buy it the traditional way. You'd pay $280 for the basic package, compared with $300 over three years. I'm still running Office software from 2006 on an old iMac. That's less than $25 a year at today's prices, compared with $100 for a subscription. Of course, the subscription gets you more, including access to all seven programs, not just four. You can change which five computers work with the subscription if you upgrade a machine or send a kid to college. You also get 20 additional gigabytes of storage on SkyDrive, on top of the 7 GB that comes for free, plus 60 minutes of free international calls a month on Skype. Although Microsoft hasn't updated Office for Apple computers yet, the subscription will let you install Office 2011 on a Mac and give you a new version when it comes out, likely next year. The value proposition will grow even more if Microsoft ever makes versions that run on the iPad and Android devices. For now, the only tablets supported are those running Windows. Office 2013 will require either Windows 7 or 8. With the subscription, you also get Office On Demand, which allows you to temporarily install copies on additional machines, such as that of a friend you are visiting. It's not the full experience, but it'll do. You won't lose your documents if you end your subscription one day, but you'll be limited to viewing and printing them. Besides Google Docs, I've also used a number of free or cheaper options, including OpenOffice and Apple's Pages and Numbers. Yet I've repeatedly found myself coming back to Microsoft's Office. It's not cheap, but you're getting something far more versatile, whether you decide on a subscription or just a one-time payment. 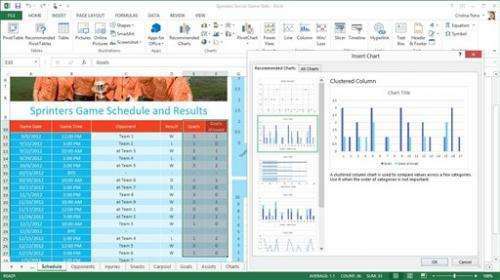 Microsoft updated its Office package to support touch-screen features and emphasize online file storage. It's also pushing to sell the new Office 2013 as a subscription, with recurring fees of $100 a year or $10 a month, which is $20 more expensive for the full year. A subscription works with up to five Windows and Mac computers or Windows tablets. Mac users get Office 2011 until a new version comes out. Office 2013 is also available the traditional way, for a one-time fee that starts at $140 for a single Windows computer. First the fiasco that is winders 8, and now this? And if your documents are in the *cloud* thingy, and your subscription lapses for 3 years, will MS blackmail you for a restart fee just so you can get your own data? Short answer, yes. Good luck with that MS (Master Salesmen). This is a good value? Compared to what? Microsoft has long since killed off all the competition for the apps that comprise this product. I'm not an Office power user; I find it "klunky" to use. The feeping creaturism of each new release only makes it worse. Oh yeah, when will Microsoft release a Linux version? Never? Why not? 'nuff said. Libre Office has served me well - and by now it has all the features needed for a casual user (and with the 'x' file standard being used by Microsoft in its Office products interchangeability isn't an issue anymore). If you're heavily into using Macros then shelling out for the MS products *may* be worth it. But for anyone else there's no real reason. For corporate environment the LibreOffice lack many features (suport of cloud and Sharepoint stores, the support of datacenters (SQL, SP Lists and another DB), PivotTables and OLAP analysis, multiuser editings, etc). I work at a software company. Even WE don't use that type of functionality in our office suite. For the things that require collaboration (bugtracking, project planning, etc.) there are other, free, software packages that interface quite easily with any office clone. The more sensitiv your data is the less you'll be using cloud functinality, anyhow. And in today's business world there are hardly any documents that aren't sensitive in one way or another. As for multi-user: I have yet to see a scenario where simultaneous multiuser access was useful. For anything else there's (free) revision control systems like SVN. I wonder why it will not run on an earlier version than Windows 7. There are a lot of useful XP systems that are not going to be discarded just to get the new Office. I would use the Libre Office, but the formula editor is simply too difficult. I don't have the time to learn and re-learn the symbols and script I need to type in order to make a math formula appear. It's the old CLI syndrome again. Yes, it's powerful if you remember all the commands and options by heart, and your typing is ultra fast and accurate. For everybody else, it's just better to have a palette of symbolic buttons to click, because the penalty of forgetting something puts you back 5 minutes in your work since you have to look for the right answer online or look through your string of cryptic script for that one missing parenthesis. To give you an example, in Office, I'd insert a formula and then type "1/(1-x)" and it will appear as a division. Subscripts work with underscore and superscripts with the caret character inline. For special symbols, square roots etc. I click the appropriate icon, and it automatically jumps the cursor back to where I can keep writing. In Libre Office, I insert the formula, then click the icon for division, then a line of script appears at the bottom of the window that says "? over ?" and I have to click on that and change it, going back and forth clicking and editing, clicking and editing the markup language - or I can start writing the language directly if I remember all the syntax. Either way I end up with a complex mess of special characters, parentheses and english that may or may not render into the formula that I wanted, and if there's a single error then the formula that does render is usually totally corrupted so I can't even see where I went wrong. Pros use Office 2003--the ribbon is for those still on a learning curve. Professionals hate it as occupies without purpose monitor real estate while adding a burden of visual distraction. Considering that you can use just about anything around to write a memo or letter, like Notepad even, or one of any number of free document editors available for download, I can't see what the big deal is. It's naive to think that any family is going to pay licensing fees for home use of software the way that industry is forced to because if they don't they might be "discovered", but a household? Give me a break. I use Open Office and am quite satisfied. I predict that one day there will be interventionists dragging people away from computers and PDA's to address their strange tech and social networking addictions - get back to reality. We want science here, not opinions and reviews. But the money???? Sales trolls make good money, especially on this site. Lot's of money pushing iJobs and M$. I can't see what the big deal is. The deal is with business users (and home users that use a cerrtain Office Suite at work and fear they have to learn something else at home). For some reason there is the (mythical) notion perists that a big company will fix/upgrade their software faster and with more quality control than an open source project can. Not really. The deal is that many corporations are Microsoft only. This means that communications are distributed in Microsoft Office format from Microsoft Office at work. People who do some of their work at home need Microsoft Office (in version compatible with work) so that they can create/read/modify documents compatible with the boss. This is somewhat equivalent to government sites which require users to us Internet Explorer because the government is a Microsoft shop and designs the site to be compatible only with Microsoft products.